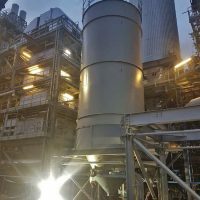 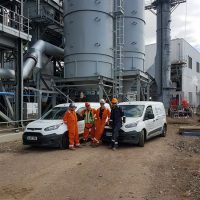 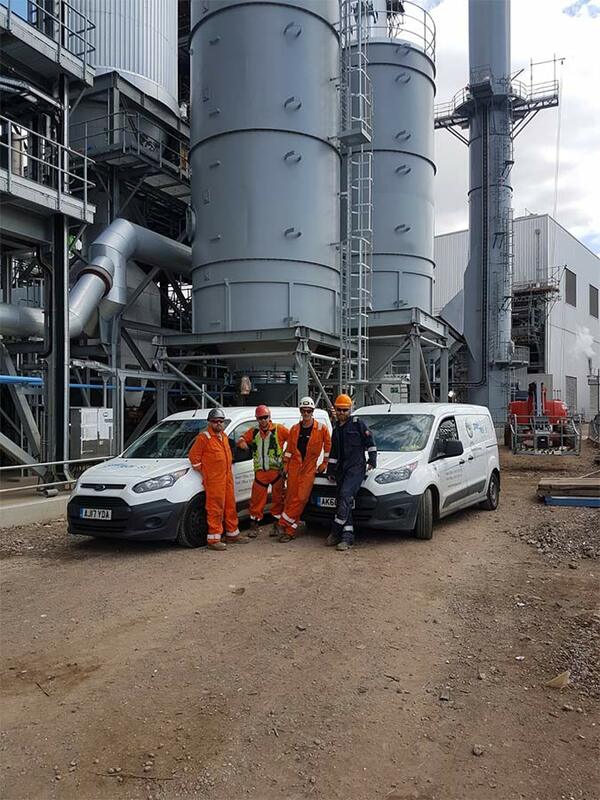 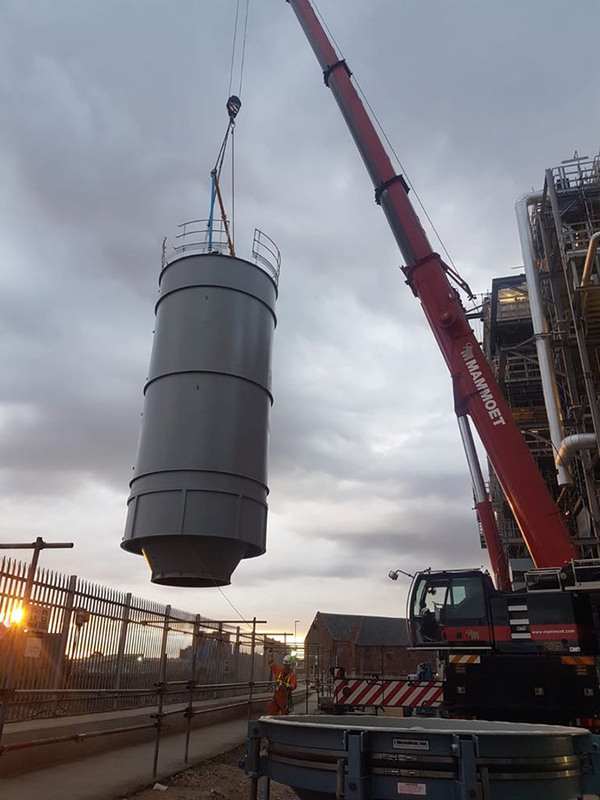 Spirotech’s experienced teams completed two new silos for a Hull-based energy company within record time by utilising every aspect of its sophisticated ‘rapid build’ program. 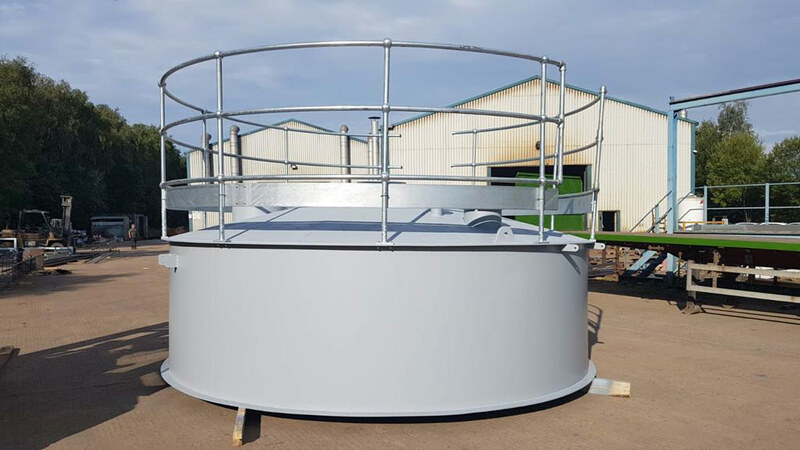 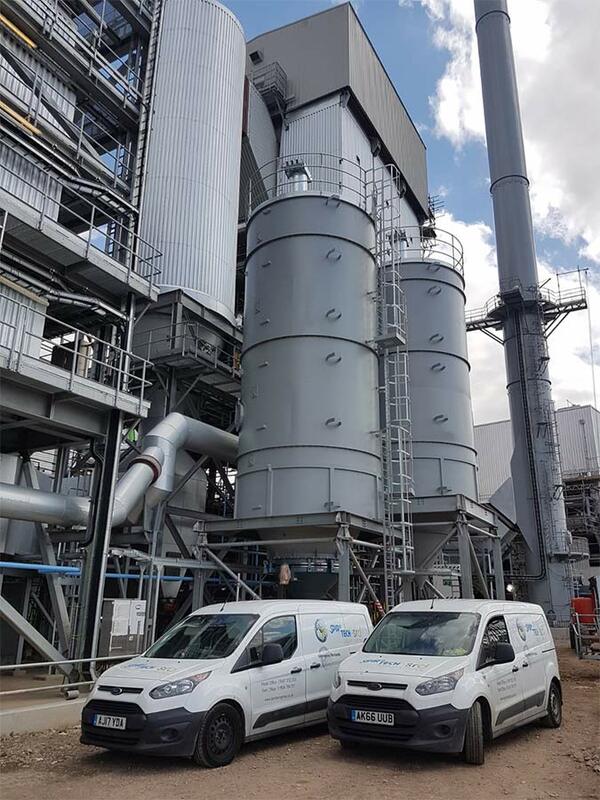 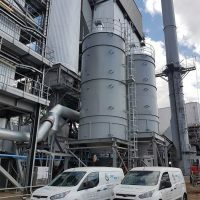 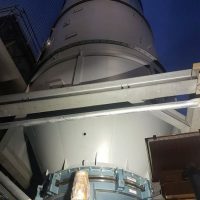 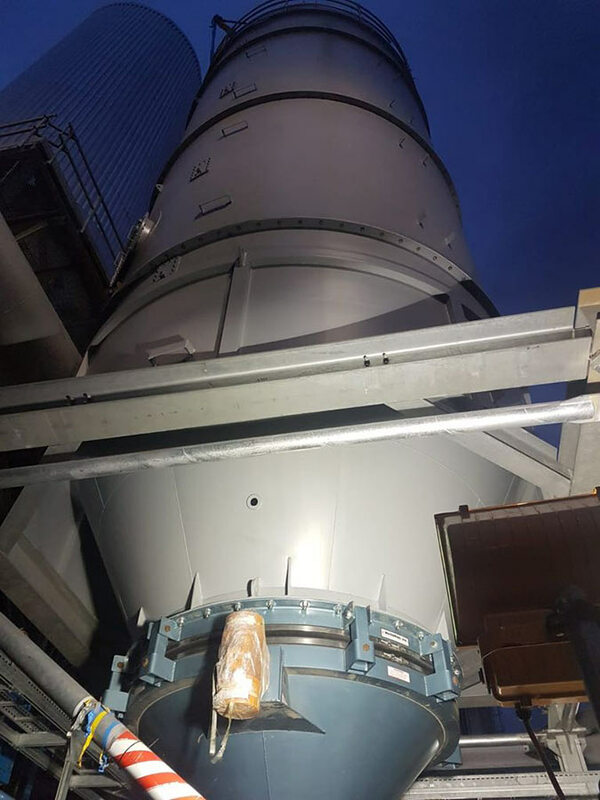 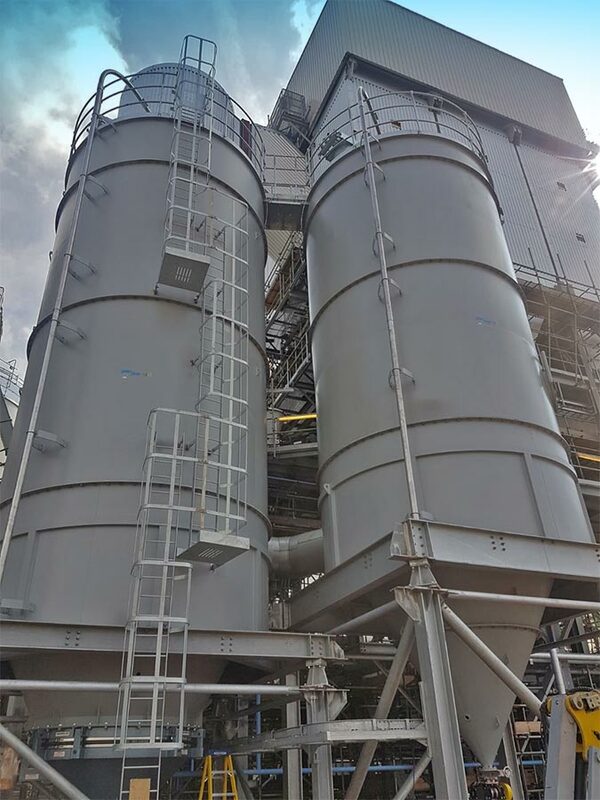 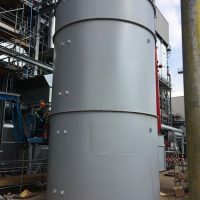 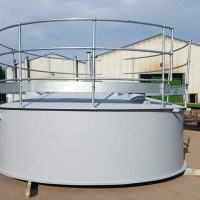 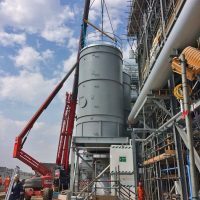 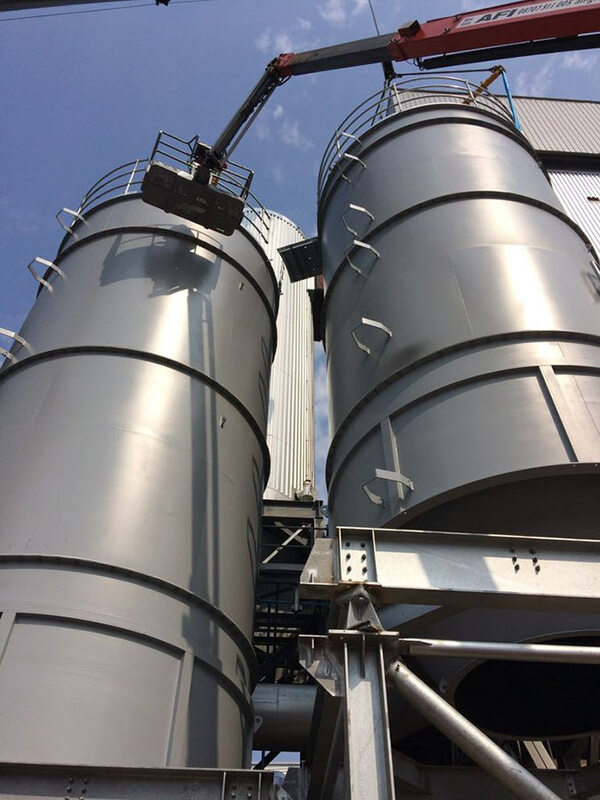 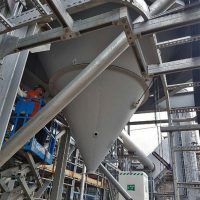 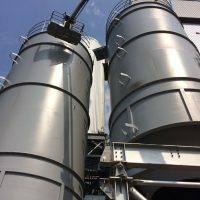 Structural design, detailed drawings, manufacture, delivery and installation all took place within 7 weeks from the date of order, thus ensuring a critical deadline for these high specification silos was in place in time. 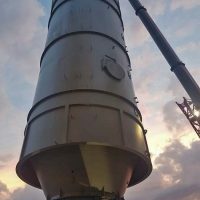 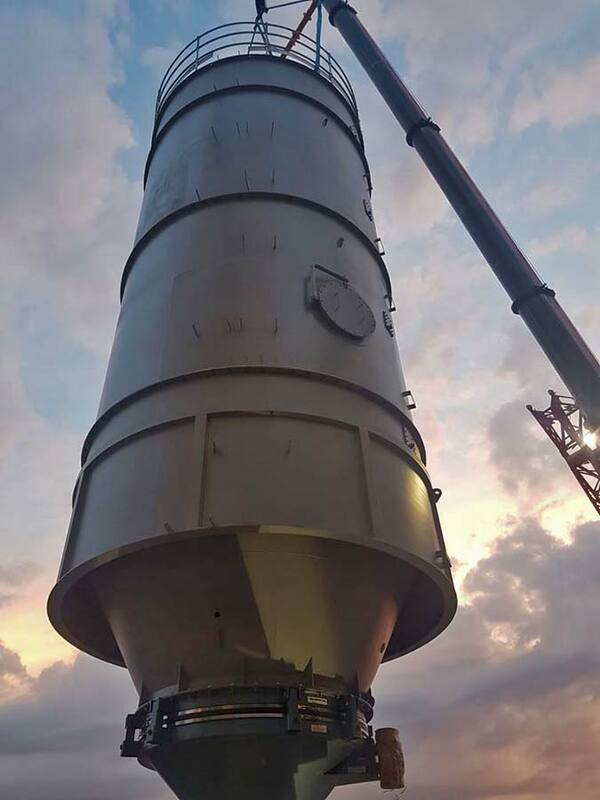 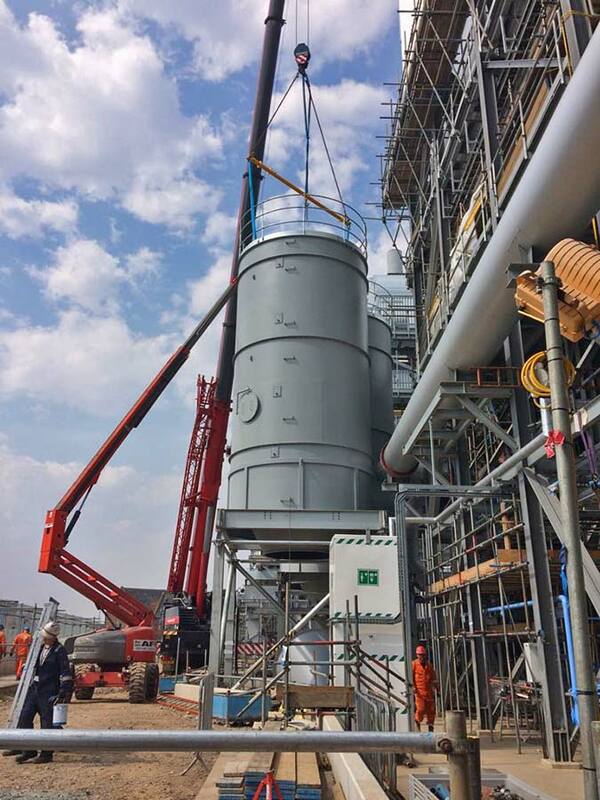 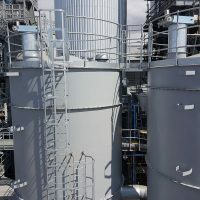 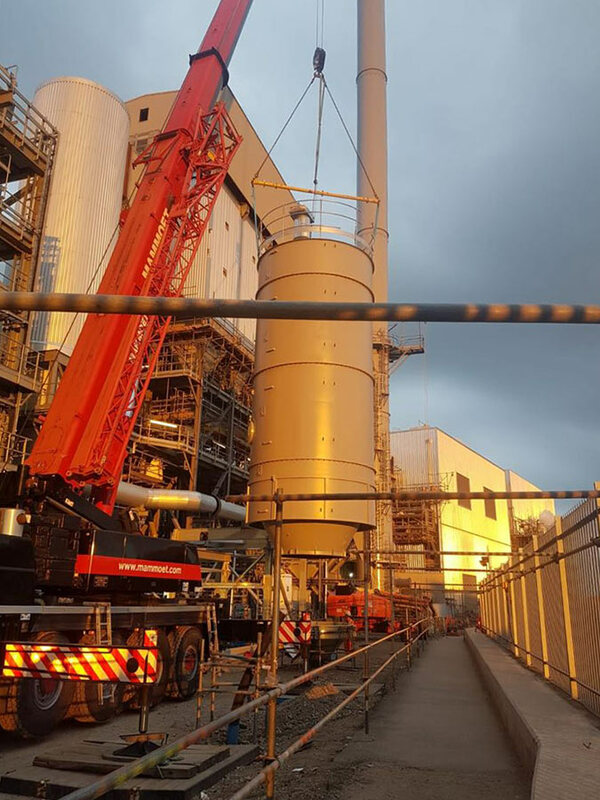 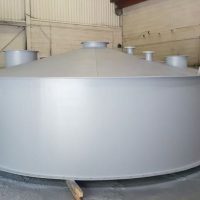 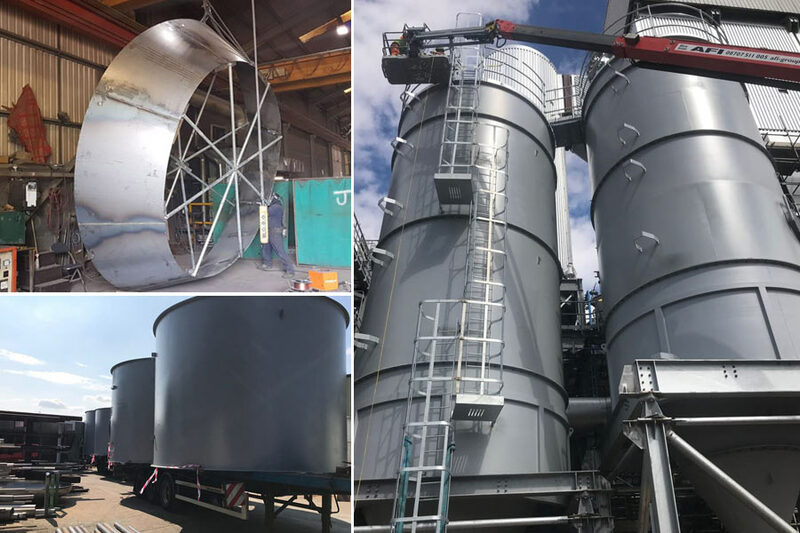 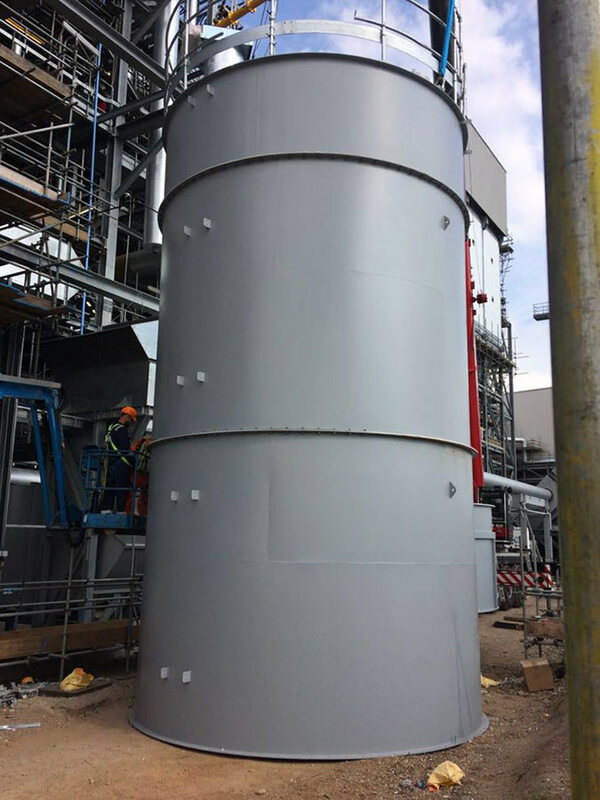 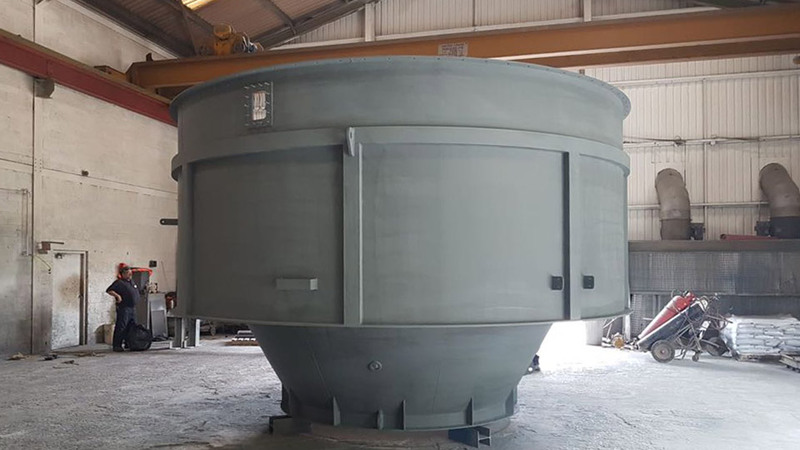 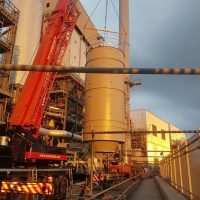 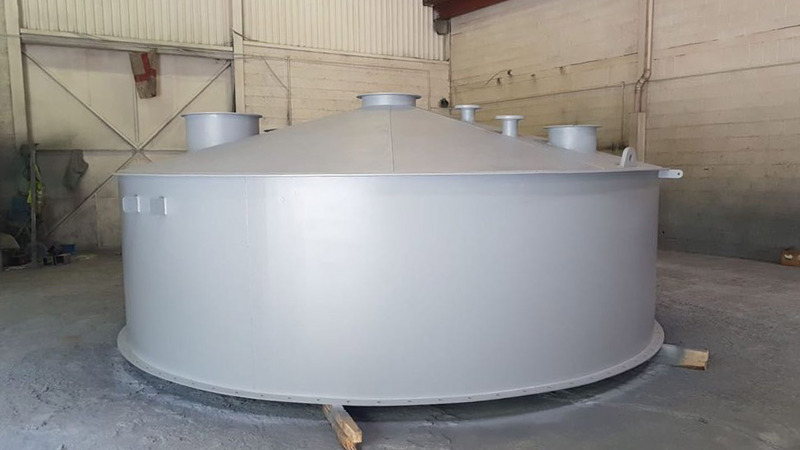 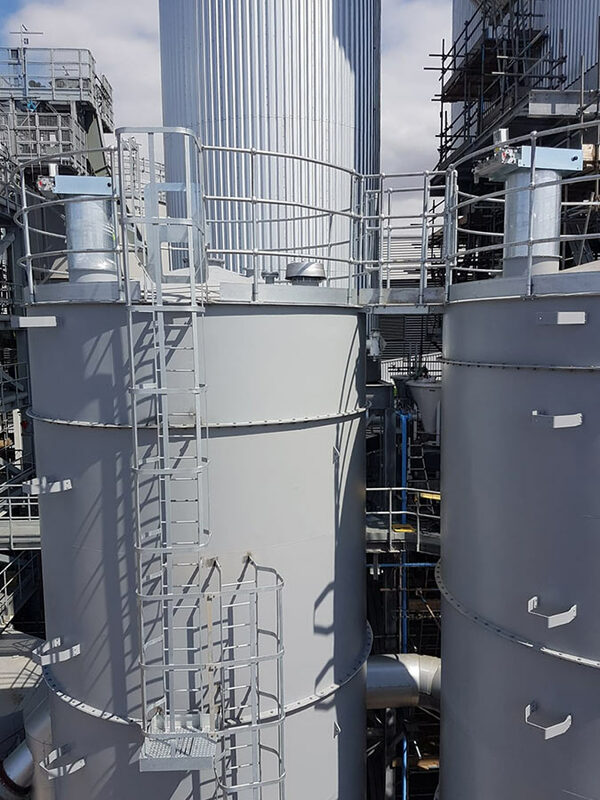 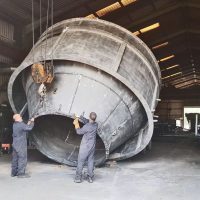 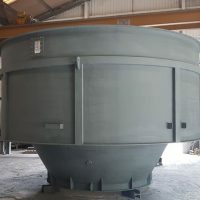 The 4.9m diameter x 16m tall carbon steel silos, one to store PAC (powdered activated carbon) and one to store hydrated lime, were finished in high quality category C4 long-lasting paint to counteract the coastal weather conditions at their final location. 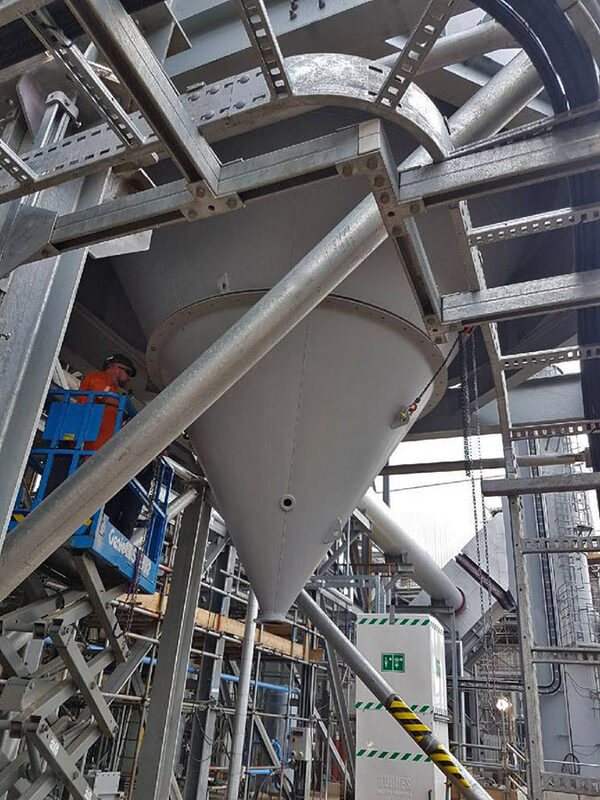 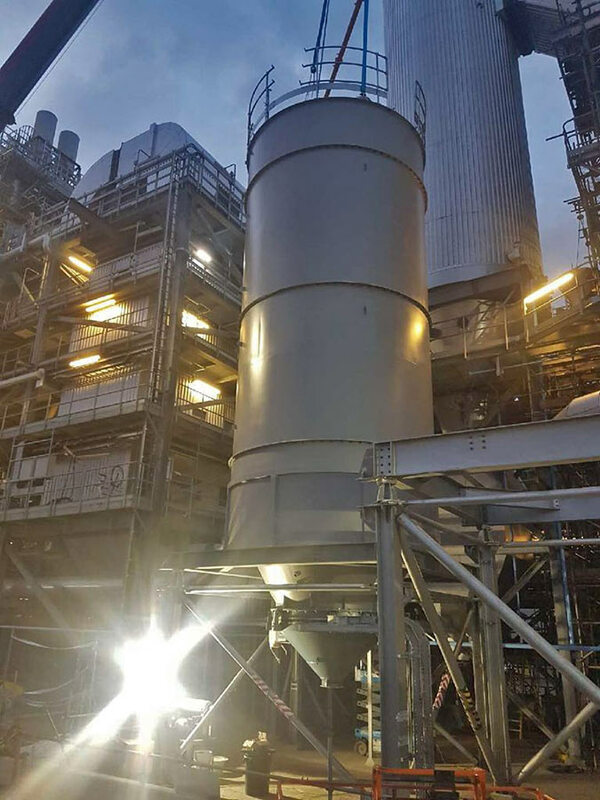 The PAC silo was also fitted with dust explosion relief panels as the PAC is potentially a dust explosion hazard and therefore needed to be ATEX compliant. 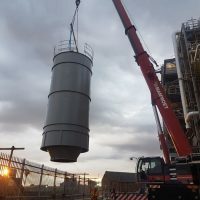 Each silo was built in 4 modular, flanged and bolted, sections for ease of transportation and to enable Spirotech’s installation team to construct on site, in under 1 week. 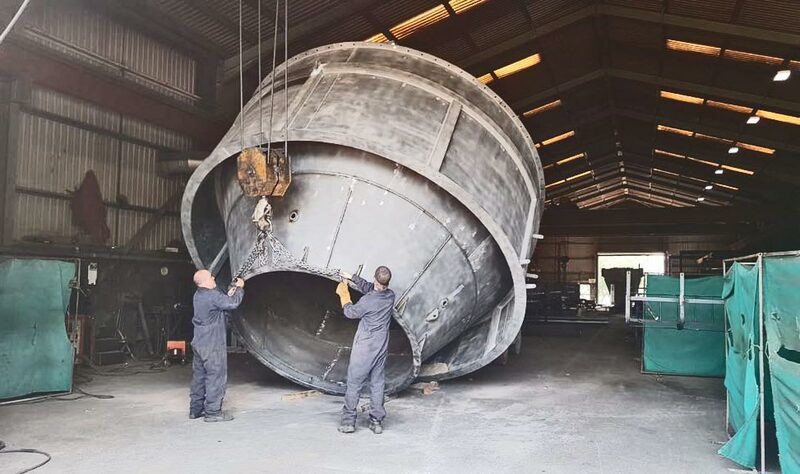 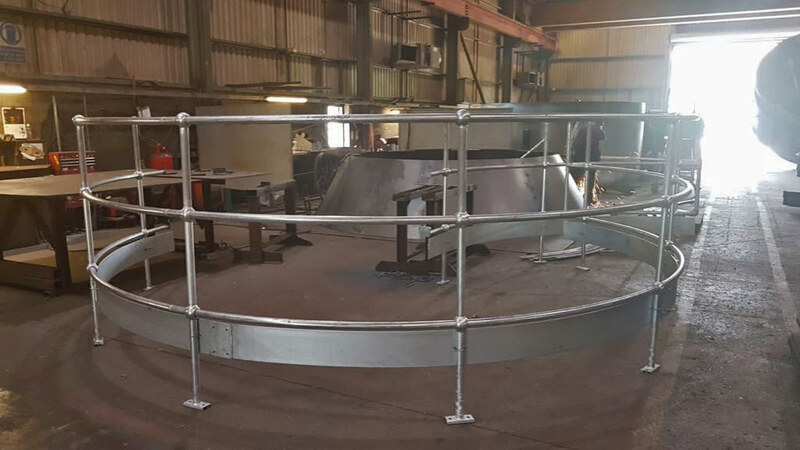 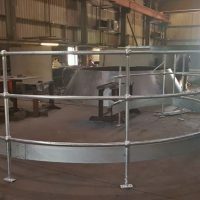 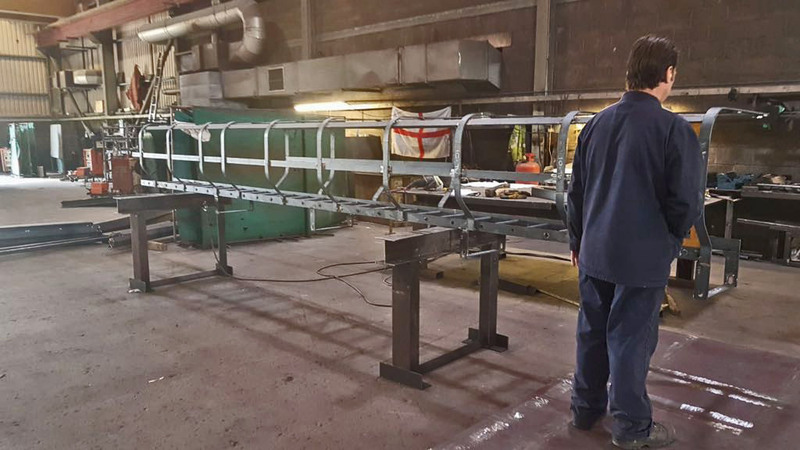 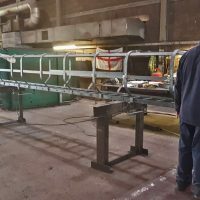 Our ‘rapid build’ program enables us to turn around large projects to very tight schedules and we are delighted to have been able to fulfil our clients critical deadline.